Your “Go-to” brand for upholstered furniture on a budget! Hooray! My custom headboard has arrived from Carrington Court! The first day of Spring is finally here and you may be ready to refresh your home on a budget. I happen to be on a mission to redecorate my own bedroom right now. Carrington Court has been an amazing resource for finding quality upholstered furniture at reasonable price. 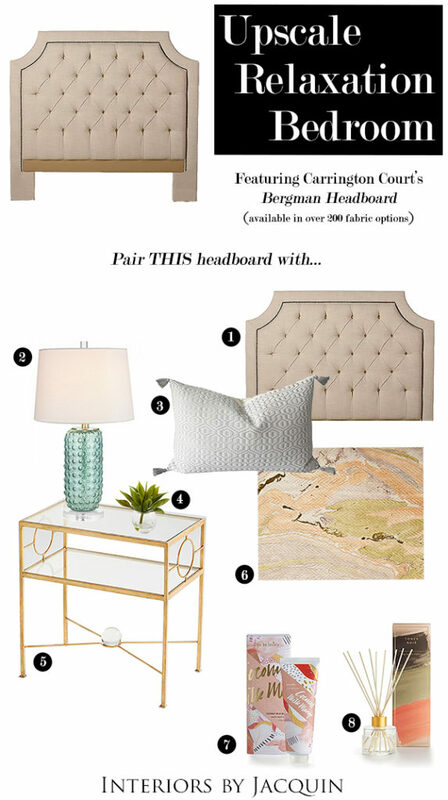 I have just traded out my traditional wood headboard for Carrington Court’s Bergman Headboard, which comes with custom nailheads in the finish of your choice. They offer over 200 custom fabric selections ranging from bold patterned fabrics, to solids, and even leather. 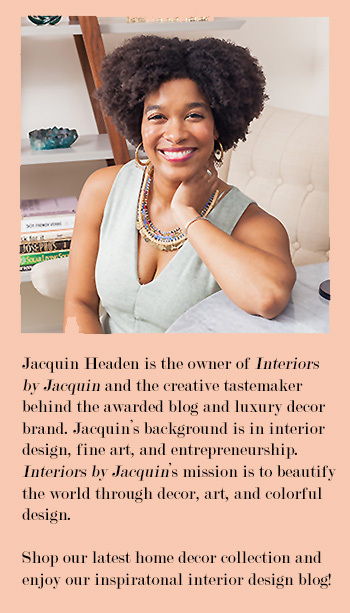 You can check out how my custom headboard with Carrington Court turned out in the photo above. It is extremely well-made and I love the fabric. I selected their “Dakota Snow” fabric, which has a subtle sheen and a nice reflective quality that really brightens my room. 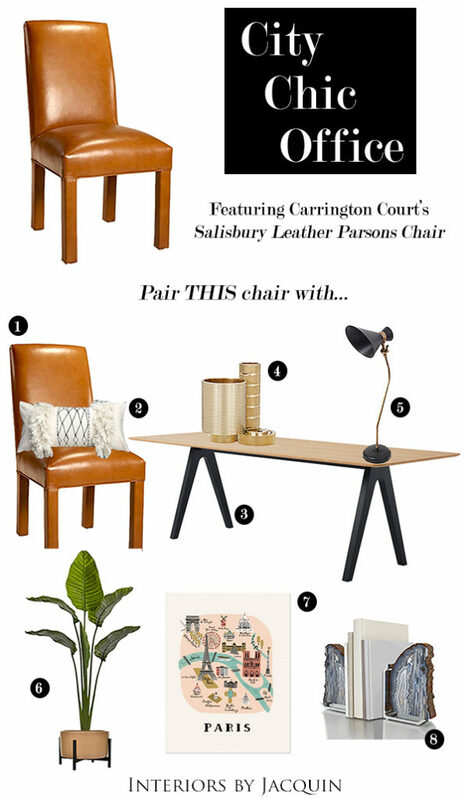 I’ve styled 3 of my favorite Carrington Court furniture selections below to inspire your next redecorating project. These looks all have a fresh contemporary feel and feature Carrington Court’s budget friendly upholstered furniture. You will seriously love this brand! When it comes to relaxing at home transforming your bedroom into your own personal sanctuary will go a long way. 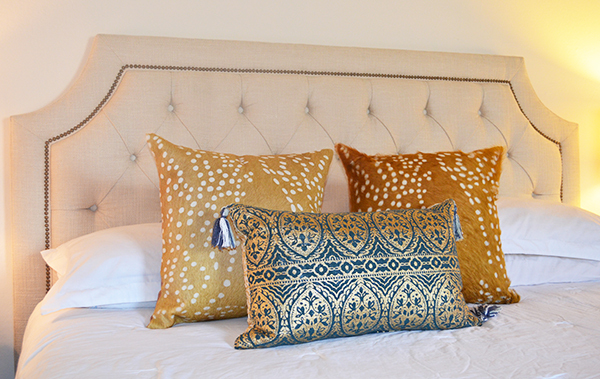 Here’s how to style this chic headboard complete with custom nailheads. This luxurious bedroom design will make relaxing at home so much easier! This compact seat will impress you double when styled as a set of two in your living room. These seats will also do well as a set at the foot of your bed. The lime green upholstery accented with blue piping makes this seat a unique original. 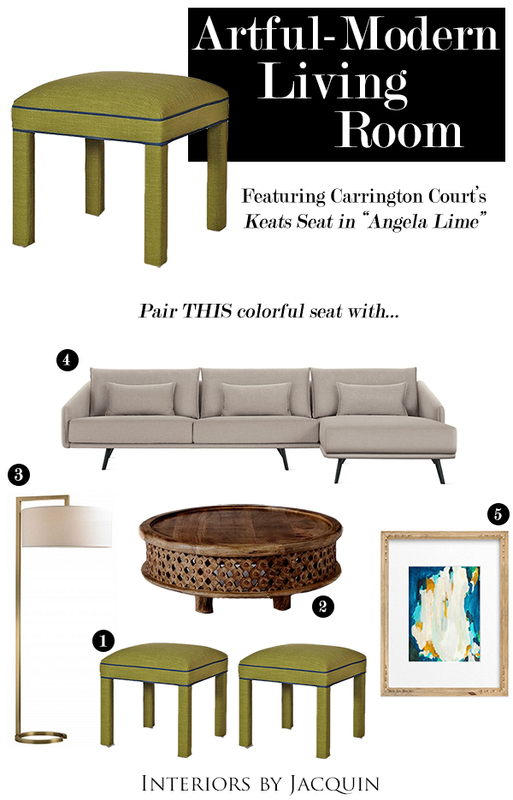 Here’s how to add a dose of style and color to your living room with Carrington Court. Love the luxe look of camel colored leather? You’ll love this FAB parsons chair from Carrington Court. Try this chair in your office paired with casual-luxury decor elements. If you prefer a more contemporary look, style this tan leather chair with contrasting black decor for a truly eye-catching look. Which of these Carrington Court furniture selections is your favorite? The Leather Parsons Chair, the Bergman Headboard, or the Keats Seat in lime green? I happen to also really like their classic Hemingway Wingback Chair which would go well in nearly any space. Hoping you’ve learned about a new brand that can meet your future furniture needs. Visit www.CarringtonCourt.com for more information! This post is sponsored by Carrington Court.